Author-Signed Copies | Marion Harmon, A Writer in Vegas. My career is not yet at the point where I am traveling the country doing book signings, and while it has been suggested that I should be making the comics-convention circuit I am very focused on my writing now. However, in response to requests/questions about autographed copies, I have arranged through Paypal to simplify purchasing. 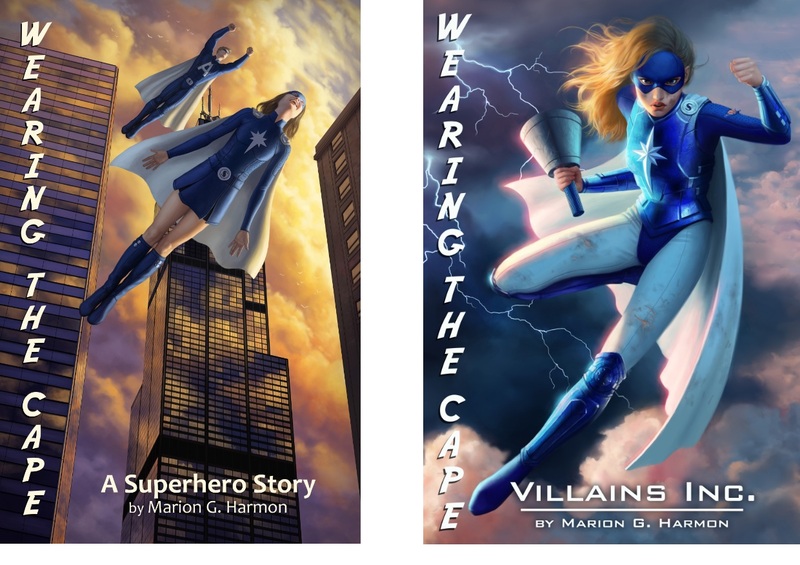 Now instead of ordering a copy on Amazon, then mailing it to me to sign and mail back, readers who would like to own a signed copy of Wearing the Cape or Villains Inc. can order one here. I keep several copies of each book on hand, and can sign and ship a copy within a few days. Postage Note: the $4.95 shipping fee is only for orders within the US. For international shipping, please contact me directly to calculate the price. Hey, just thought I’d drop a line. I have enjoyed the few books of yours I could find. I’ve been a comic fan for decades, and I love the new perspective on the supers. I thought I would let you know that Salt Lake is having its first ever ComicCon in September, I know your not doing much of these yet, but I figured since its practically (ok, 5-6 hour drive) in your back yard, maybe you could see about attending. I’ll leave you the link to it, JUST incase your interested. Thanks for the tip! I can’t make it this year, but I will be at the Las Vegas Comics Expo (also in September). Next year, who knows?